You may have come along knowing you wanted help with allergies or intolerances. Possibly you have been diagnosed with sensitivities by another practitioner and know what you need to avoid, but now have no idea what to eat. Or you may have come to see me with other health problems, and I might have noticed indications that you may have a problem with allergies or sensitivities from the detailed questionnaire (which includes questions on lifestyle, health, eating preferences and a food diary) that you filled out before our appointment. It is possible for people to be reactive to a huge range of different substances – foods, prescription medicines, chemicals, pollens, dust, animals, metals (including surgical implants), even substances that naturally occur in your body. But there are some substances that are more commonly reactive than others. By looking at your food diary and lifestyle, in combination with the pattern of symptoms, it’s usually possible to identify some likely suspects. Often it is the foods or substances most commonly eaten, or that you’re in contact with every day, that you’re reactive to. The next step might be using kinesiology (muscle testing) to see what each substance does to your energy flow. Sometimes a single muscle test is enough to show a sensitivity, and sometimes we need to test in several different ways to find what’s causing the problem. Or if there are indications that you have a variety of food sensitivities, and that your digestion isn’t working fully, we may go straight to the GAPS (Gut and Psychology / Physiology Syndrome) protocol, which prescribes certain foods to be avoided. The next step is to eliminate the foods, or avoid the substances, for a trial period to see what changes. I help you with strategies for how to avoid problem foods, alternatives that you can buy, and tasty, easy recipes for homemade substitutes. There are many gluten free and GAPS recipes in my “How to Enjoy Real Food” 15 step cooking course, and on my recipe blog. I can also help you with menu planning. Depending on how much you improve as a result, we can tell whether we’ve found the worst offenders, or whether we need to do some more testing. Once you know what’s causing problems right now, we can develop further coping strategies. For some people, being able to manage the symptoms is all they want to do at this stage. Others want to go another step further and heal. 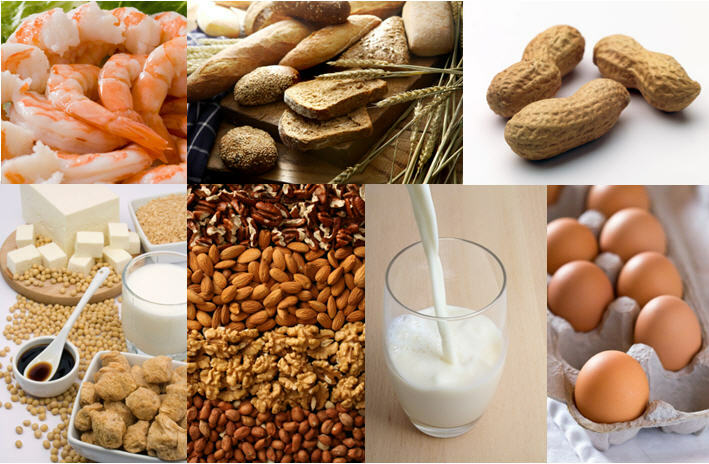 In some cases, you may have other physical problems that have arisen as a result of the food allergies, such as leaky gut or candida overgowth. If those are present, we can look at ways to help those heal. This may include supplements, or other treatments. Most often I will recommend the GAPS protocol. When your digestive system has been repaired, other allergies may spontaneously come right. EFT can help with the cravings you may get for foods that you are now trying to avoid. You may also have feelings such as grief or anger about being in this situation, which EFT is great at relieving. Allergy Antidotes are another range of holistic allergy treatments I sometimes use, including some based on EFT, developed by Sandi Radomski.